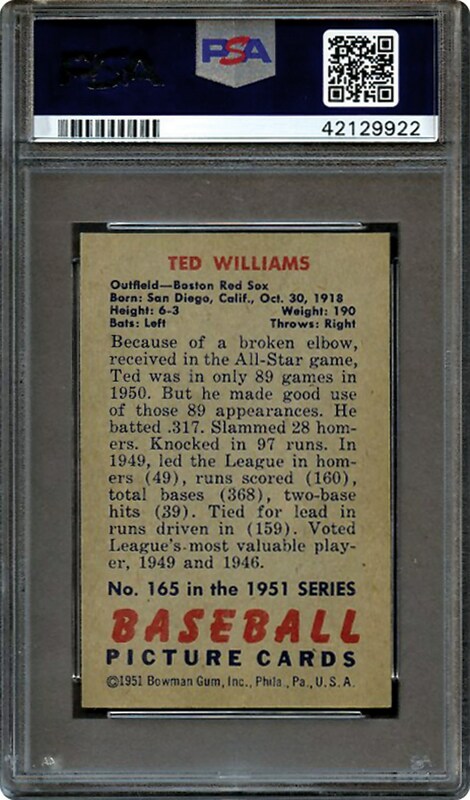 We are proud to present a Ted Williams 1951 Bowman card that personifies his quest of being "second to none". 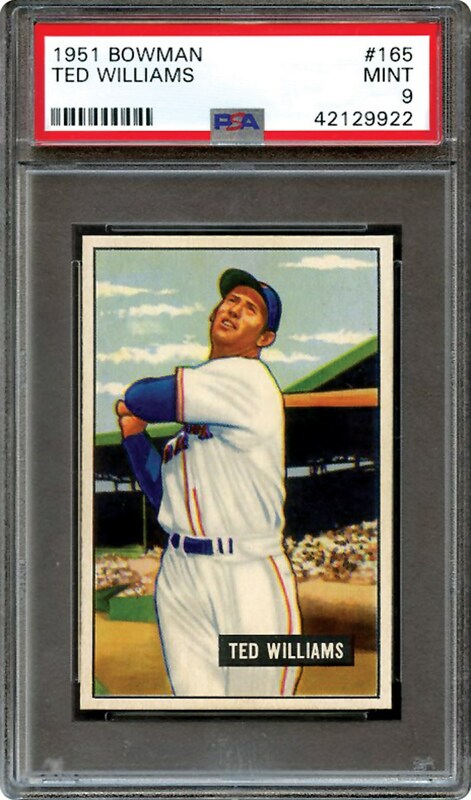 His representation on this breathtaking 1951 Bowman gem in a PSA 9 holder has also achieved crème of the crop status in the baseball card industry. Indeed, this miraculous offering shares the distinction of being the finest of its kind! Ted's "godly" follow through swing depicts perfect resolution with a crystal clear stadium backdrop. All four borders are strong, and the razor sharp perimeter ends at four pinpoint corners. The final "stamps of approval" are pristine-like surfaces as well as an immaculate verso. The term "pack fresh" ultimately defines this card, and it is no wonder that not a single other example has surpassed its grade. One must wonder how any card can achieve 'gem mint' status if this card falls short of the ultimate 10 grade. In fact, it is simply hard to imagine that any 66-year old card, let alone a Ted Williams specimen, could equal or surpass the aesthetics for this astonishing masterpiece.